Many patients of this clinic have come in and told me that they have arthritis and that nothing can be done. This couldn’t be further from the truth. Most people with severe arthritis will not complain of pain at the same level as their arthritis. In fact most of the pain that they suffer from is usually a few vertebral segments away from the degenerated level. It is not uncommon for people with arthritis to live without pain. According to the Australia Bureau of Statistics, in 2004-05, 15% of the population of Australia (almost 3 million people) suffered from back pain. Another 15% of the population reported as suffering from arthritis. The ABS reported that 1 in 3 people complained that arthritis and musculoskeletal conditions was their main disabling condition. 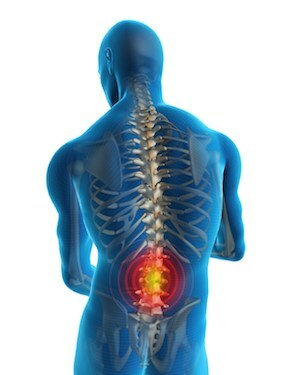 Non-pathological back pain is a condition that can be treated easily. In the majority of cases headaches are a referrred pain condition from inflammation of cervical facet joints and spasm of neck and cranial muscles. As a result most headaches will completely resolve very quickly with manual therapy such as chiropractic manipulation, massage and stretching techniques. 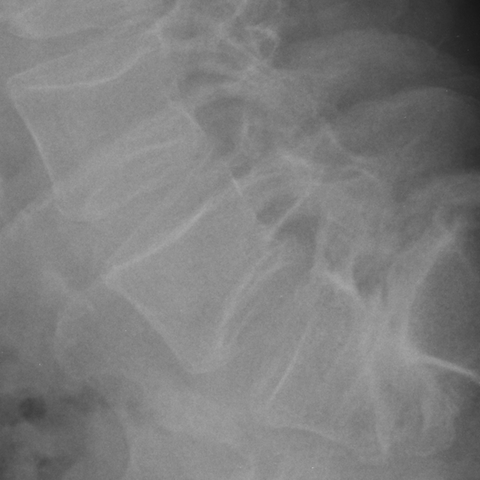 This patient suffered from a grade IV spondylolisthesis. What this means is that the very bottom vertebra just above the tailbone had slipped forward to the point where over 80% of the vertebra was in front of the tailbone below. This patient gained complete relief of his lower back pain from chiropractic manipulation.